Put our expertise to work for you. 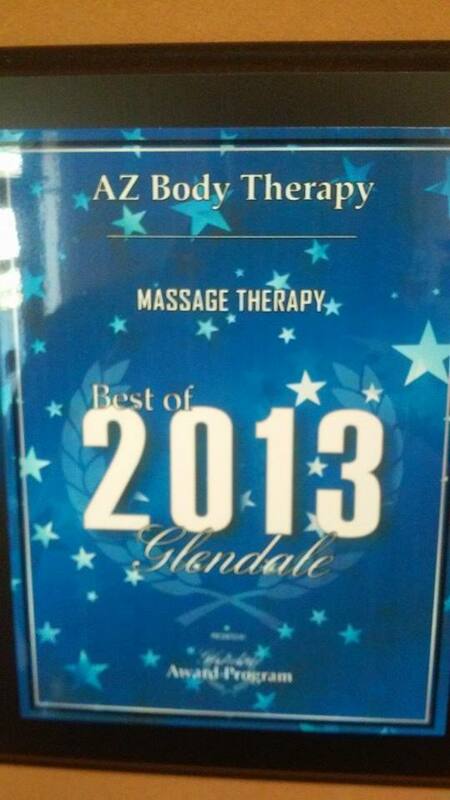 At AZ Body Therapy, we are proud to have received the following recognition from our clients. "One of the best massages I've had!!!!" "Mariya is the best therapist that has ever worked on me. She was knowledgeable and listened to what I had to say. I dislocated my shoulder years ago and Mariya knew exactly what muscles to work to help regain range of motion and flexibility. I see her on a regular basis now just to keep everything relaxed and to prevent myself from straining anything." ""What an amazing experience start to finish! The staff is super friendly and knowledgeable. This is a local business that deserves praise. Tired of giving your money away to large commercial massage companies that leave you feeling unattended to? This won't happen here! I've never had someone get every little tiny spot that has been ailing me. Massage therapist...More like Massage Angles! Get in to see them. You will not be sorry!" 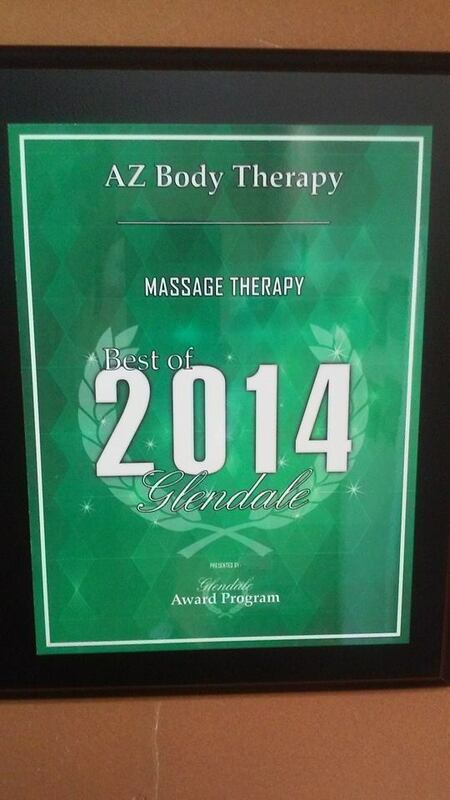 AZ Body Therapy has been awarded "Best of Glendale" for Massage Therapy 2 years in a row!